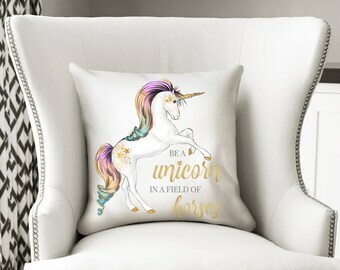 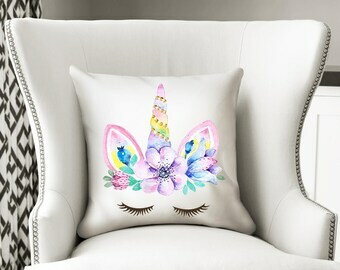 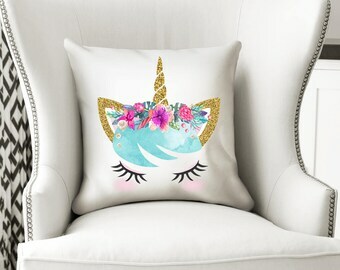 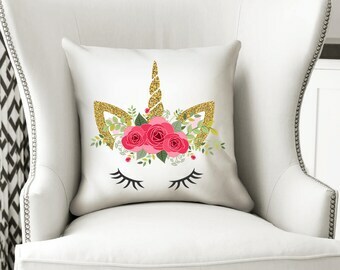 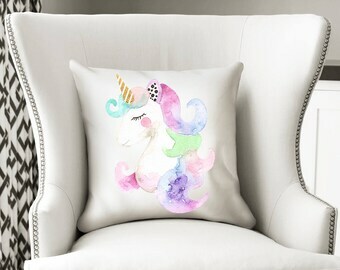 Pink & Gold Unicorn Pillow, Unicorn, Unicorn Gift, Unicorn Cushion, Unicorn Decor, Unicorn Nursery, Nursery Decor, Personalized Pillow. 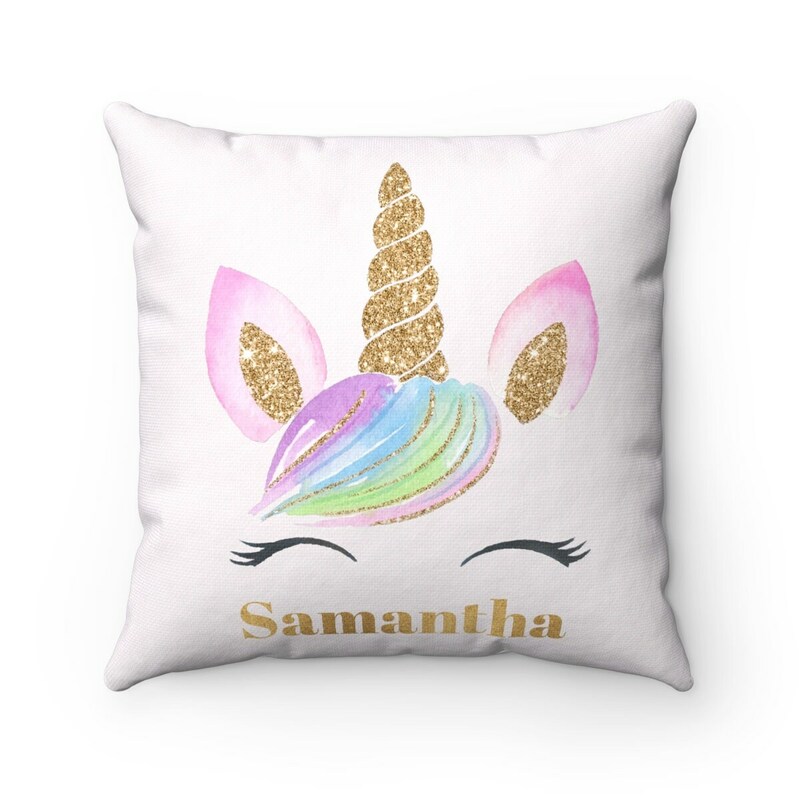 ★ This design does not include real glitter, but rather a quality high resolution graphic that will look like real glitter. 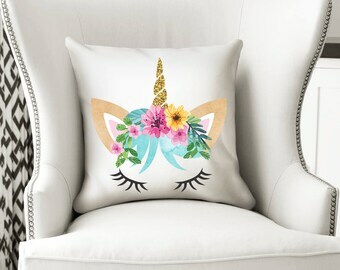 Pillow is super adorable and perfect for my new niece’s nursery. 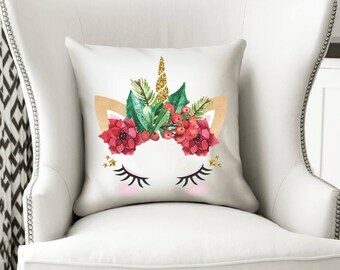 The quality of the print was a little poorer than I had anticipated, but is still a cute decorative item.